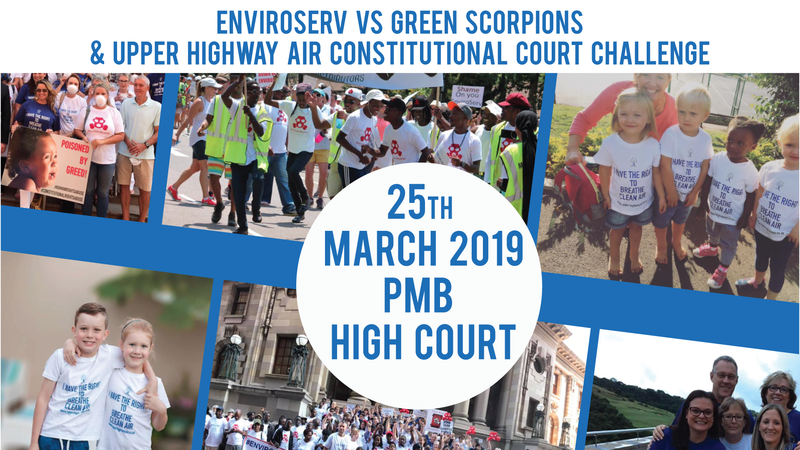 On March 25th, EnviroServ’s application to the Pietermaritzburg High Court to declare certain provisions of NEMAQA and NEMA unconstitutional will be heard. The Department of Environmental Affairs and Upper Highway Air are opposing this application. EnviroServ are trying this because they are allegedly unclear on what nuisance means as an effort to delay the criminal prosecution.